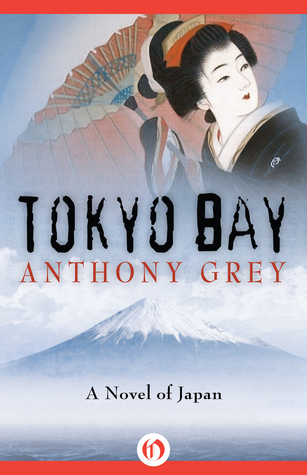 Tokyo Bay follows events that took place in 1853 during the first official encounter between the US and Japan after the latter’s more than two-hundred-year-long self-inflicted isolation. It’s a historic novel with fictional characters, one of whom is Robert Eden, a young naval officer who has gotten fascinated by the mysterious Japan that he is about to see for the first time. Eden has learned Japanese thanks to the help of a Japanese fisherman, Sentaro, who had been rescued on sea by an American craft and brought to America. The book follows the “negotiations” between the US and Japan, as the first one wants to establish trade relations, while the second doesn’t really want to communicate to the outside world and the “hideous barbarians”. It isn’t going well for the Americans though, and Eden proposes that he could do a short round on the island in the dark f the night and see what is going on. He’s idea isn’t approved of, but he does it anyway and because of that this book also has a bit of a romance and adventure story vibe to it. I quite liked the book, especially how Mount Fuji is being used as a powerful symbol, and although it’s a rather long book, it’s not slow, everything happens in about a week, there are bits and pieces of real history in between and it is very interesting. As a European I didn’t learn about the history of Japan, so the book kept me reading to find out what happened. There was one specific part I wasn’t too fond of though – the romance part between Robert Eden and a geisha – it seemed a bit rushed and unbelievable. This almost 800-page book took me several months to get through and not because it would have been boring (although it made me fall asleep on several occasions), but because you wouldn’t want to progress too fast with this book, as the time/span for this book is about 60 years and it is sad when characters in a book grow and change too fast while you’re reading. 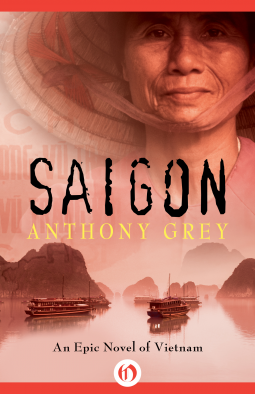 In “Saigon” we first meet the Sherman family who are on their way to Vietnam for a hunting trip. We meet Senator Sherman with his two sons Chuck and Joseph and the senators wife. This first trip to Vietnam is what sets in motion events for the rest of the book for the Sherman family, although not everything is about these four Shermans, since as time goes by some die and some more are born and have to deal with the cruel reality and mostly all of the family-members will have something to do with Vietnam. Throughout the book there are several shocking and violent scenes as there are uprisings in Vietnam, that are dealt with a heavy hand, as the French are not about to give power to the natives. Later when the Second world war begins we find out more about what is going on there and also about how the united states got involved in Vietnam that also leads up to the Vietnam war. The book is very interesting, as you can see the situation from a western perspective as well as from the perspective of Vietnam, since a lot of the book follows the doings of Joseph Sherman who spends a lot of time working in Vietnam as a foreign correspondent and his life is tragically intertwined with the history and people of Vietnam. All in all I really liked the book although it’s definitely not a happy book.